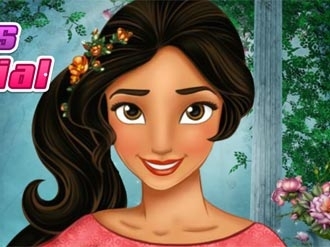 Princess Elena of Avalor has been rescued from the enchantment and is back to human form. As the princess of Avalor, Elena should look more elegant and royal than ever before. For that, she requires facial spa services at your spa salon that she may not only be brave but also beautiful. Pamper the princess with facial creams and makeup in this spa game. Have fun!